Virtute and I live in a house of artists and recently I asked him what it was like. He replied, “Art plays such an important role in our struggles, it allows us to break the barriers between future, past, and present. Frankly, Jenny said it best when she said it was like being on the cusp of sleep. I want to live in a world where we straddle the dimensions between the dream world and the material world.” I told him that was profound and he said, “It’s not about being profound. It’s about being vulnerable”. 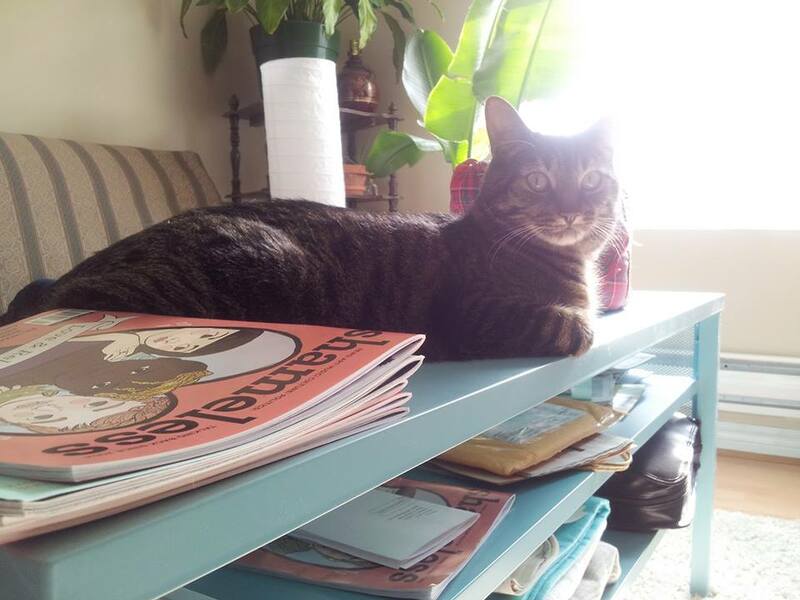 He turned away and continued to sun himself on the coffee table. Posted on May 1, 2014 May 2, 2014 by ccsamallziaPosted in PhilosophyTagged art, dreams.